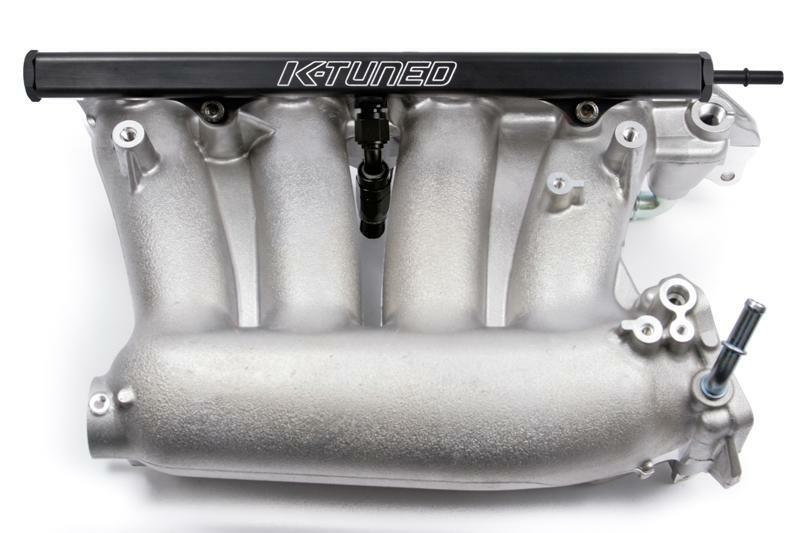 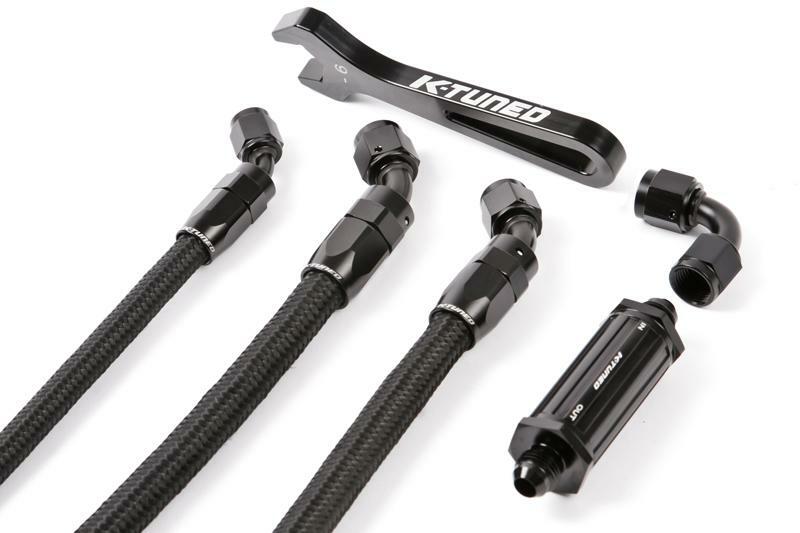 K-Tuned Fuel Line Kit - Center Feed K-Swap - Dezod Motorsports Inc - Home of the automotive performance enthusiast since 2002. This fuel line kit is designed to work with an Inline fuel filter and our K-Tuned center feed fuel rail. 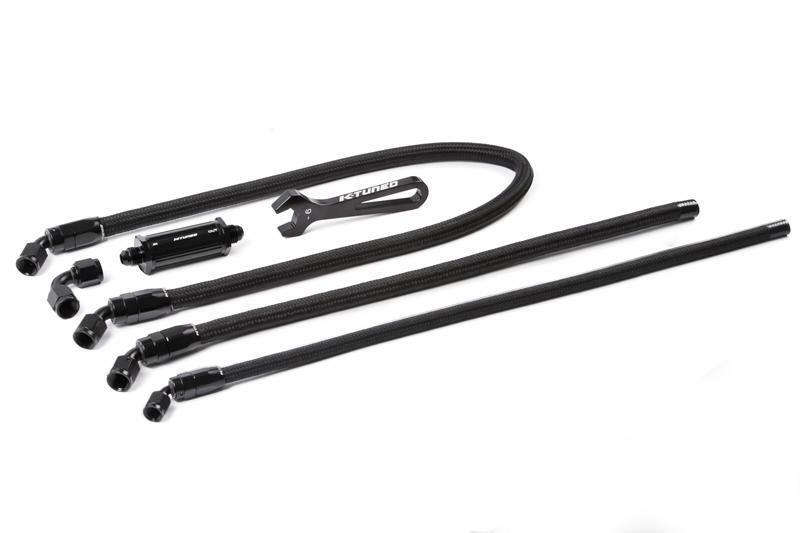 The kit includes our pre-assembled fuel lines, Inline fuel filter, K-Tuned 6AN wrench and clamps. 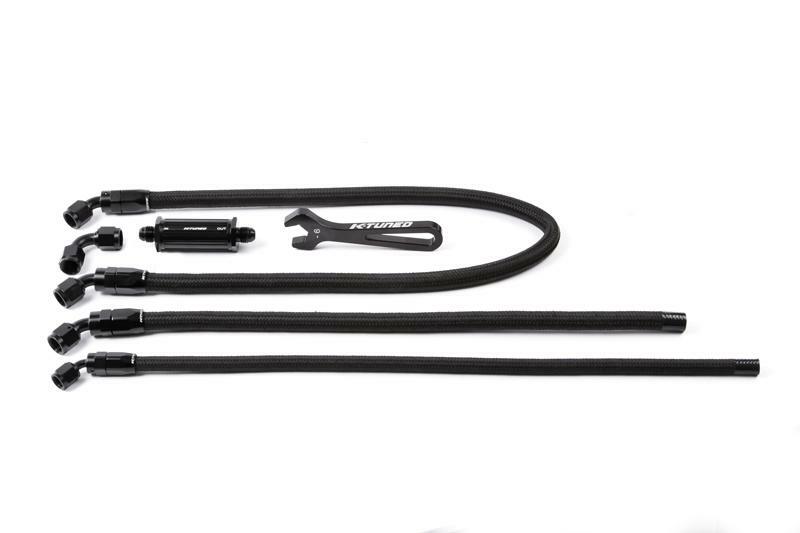 This kit is perfect for people who have already purchased an aftermarket FPR. 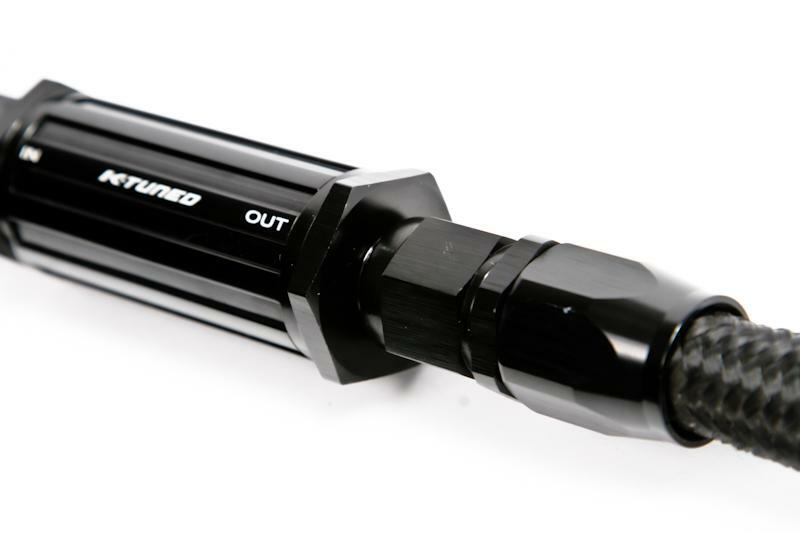 Note: The fuel pressure regulator (FPR) must be mounted on the driverside shock tower in front of the brake master cylinder for proper fitment. 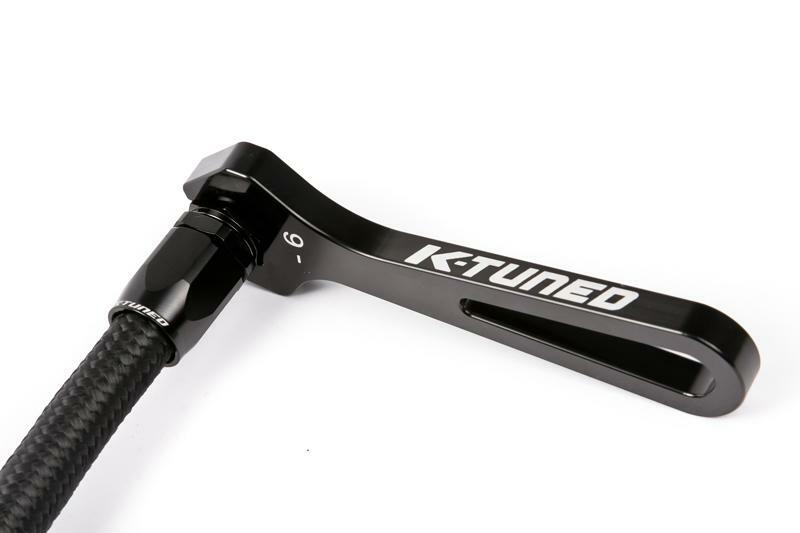 Also keep in mind that this kit is designed to work with a K-Tuned fuel rail and optional center feed fitting.